Skinning from Okrešelj to Savinjsko sedlo 2-2,5 hrs. Logarska dolina - Okrešelj - Savinjsko sedlo - Logarska dolina. Ski touring trip with private UIAGM/IFMGA mountain guides can be organized whenever the snow conditions are appropriate. The tour starts in front of the Plesnik hotel in Logarska Valley and follows the route across the upper part of the Valley. The climb will lead us near the great 80m high waterfall (ice fall) Rinka up to the Okrešelj Frischauf hut, 1396 m. The trip includes a climb to the Savinjko pass which is on the border line with Austria. 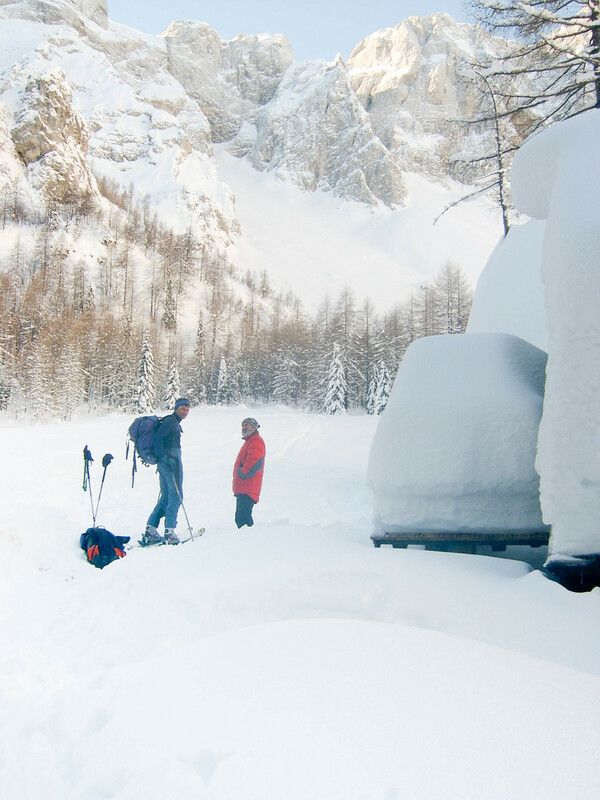 The descent extends under the north faces of Rinkas – one of the most iconic and rewarding ski descents on the South side of the Savinian Alps which offers spectacular views of the Savinian Alps' summits above Logarska Valley.